The heart hospitals of Covenant Health provide the spectrum of cardiac services – from outpatient testing and rehabilitation to open heart surgery. See below for the different types of cardiac services provided at your local Covenant Health hospital. 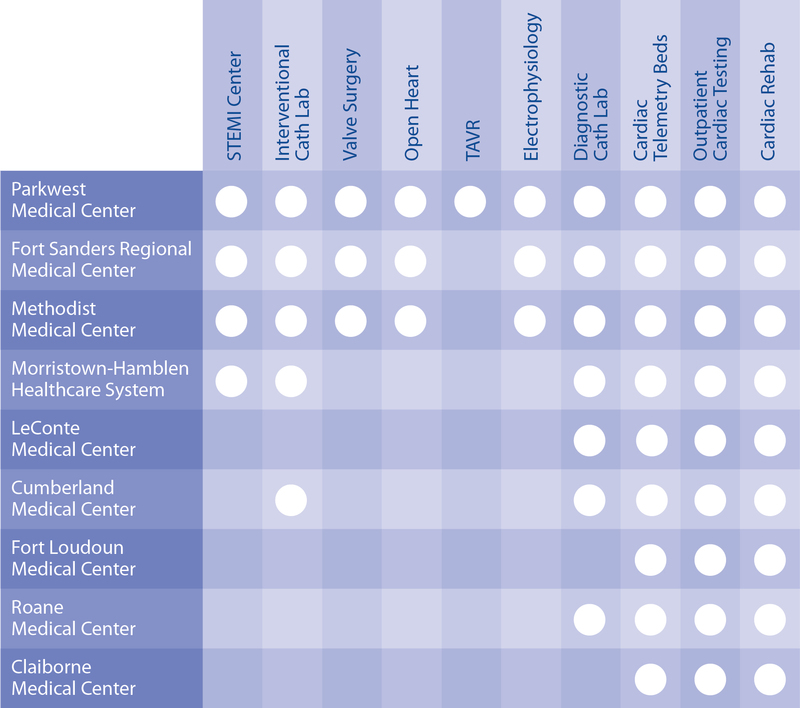 And if you need a higher level of care than what is provided locally, our network of heart hospitals is there for you.